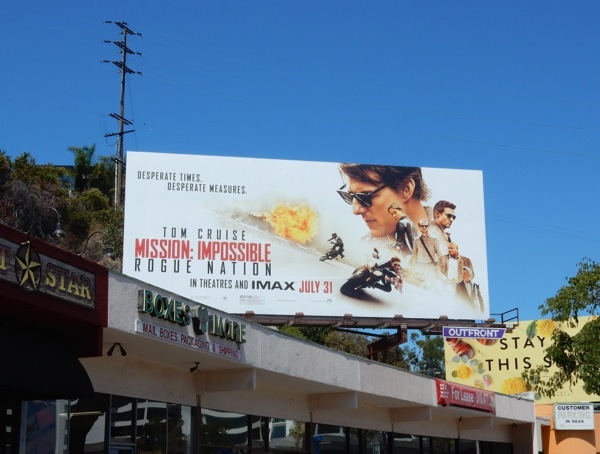 Last year Tom Cruise returned to play IMF's 'Ethan Hunt' for a fifth outing in Mission: Impossible - Rogue Nation, and this time his team was targeted by the deadly rogue international Syndicate. 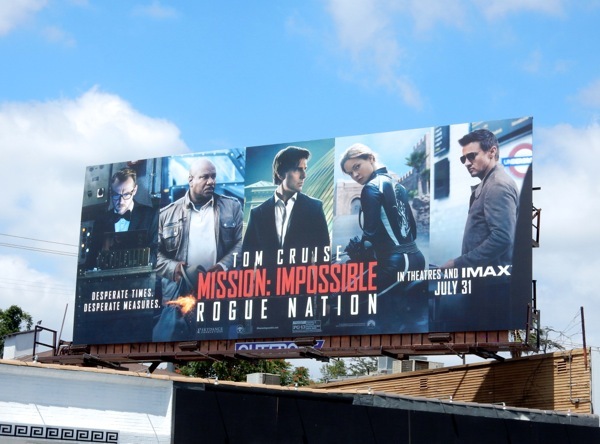 When his team is dismantled and he's forced on the run by the CIA, he's helped by Britain's MI6 agent 'Ilsa Faust' (Rebecca Ferguson) who's been tasked with infiltrating the Syndicate. 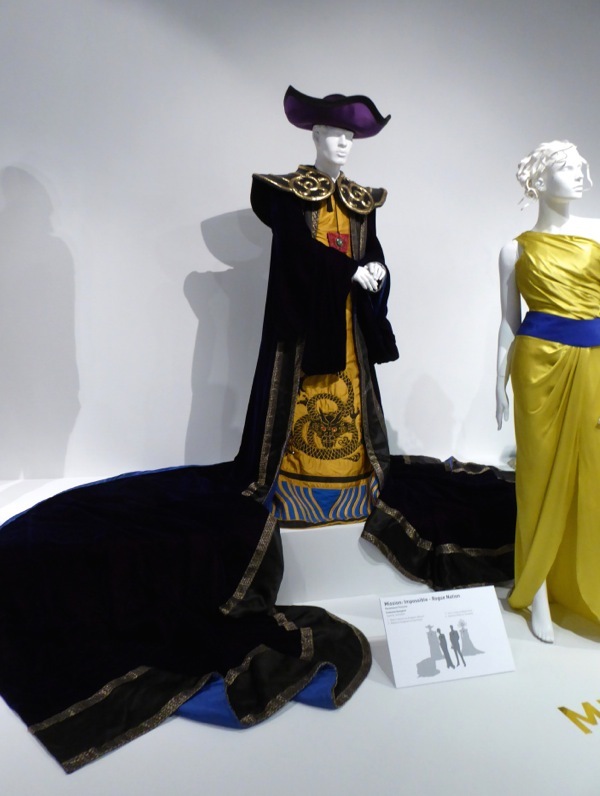 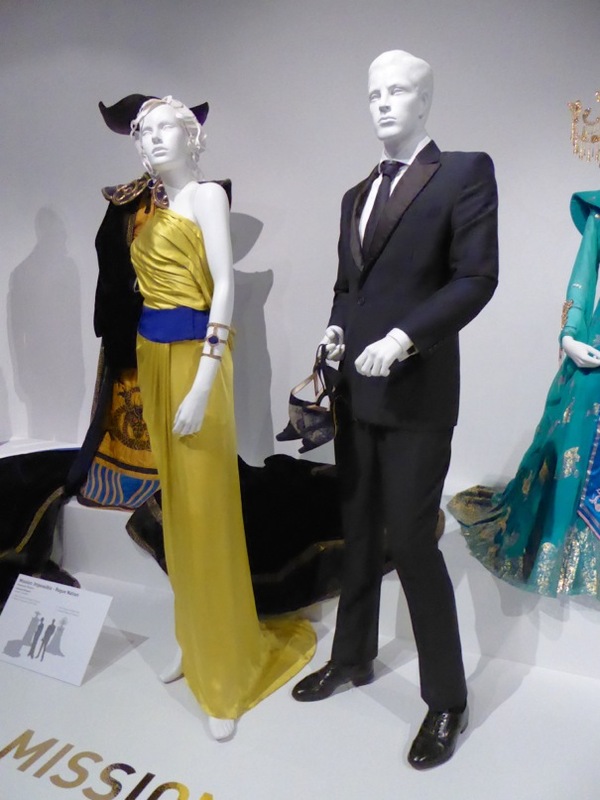 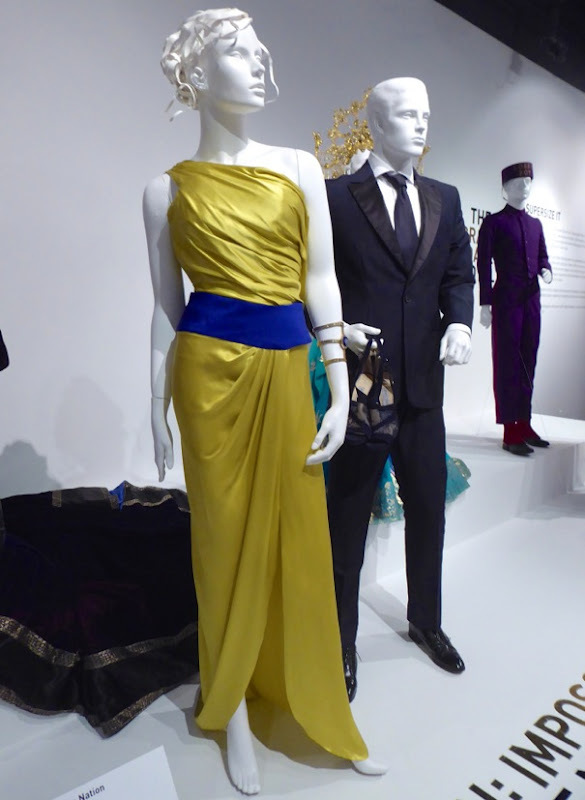 The costumes from the spy film designed by Joanna Johnston were photographed on display at the FIDM Museum in Downtown L.A. on February 12, 2016. 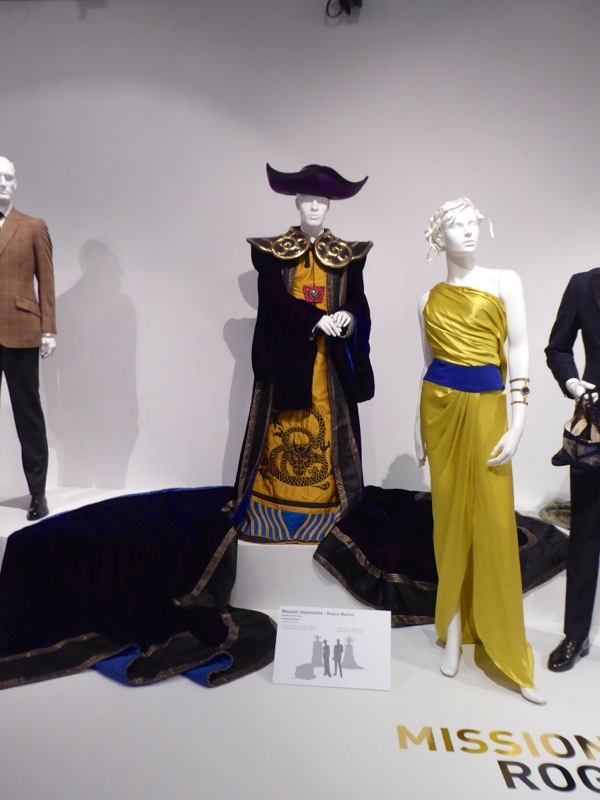 You can also see the Costume Designer's work in these Lincoln movie costumes, War Horse movie costumes, Love Actually film costumes and Back to the Future Part III costumes. 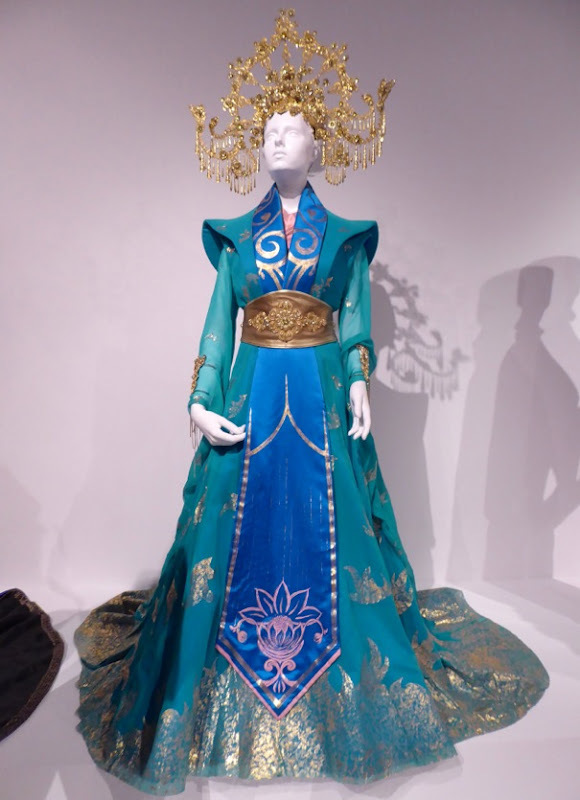 As a fugitive, Ethan Hunt predicts that an attempt will be made on the Austrian Chancellor's life at the opera Turandot in Vienna. 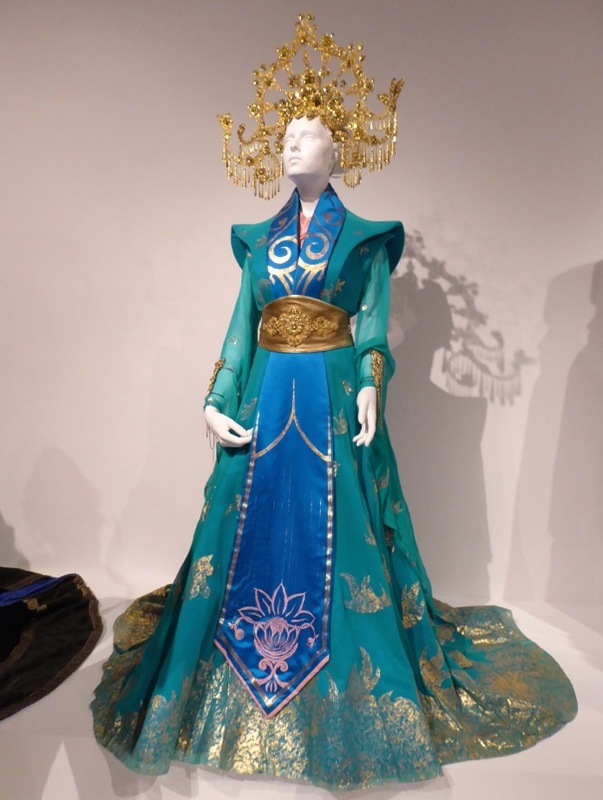 Puccini's opera Turandot is set in China and I bet designers love it when they get to design flamboyant costumes from a different period and culture, flexing those creative muscles, even if they don't appear on screen for that long. 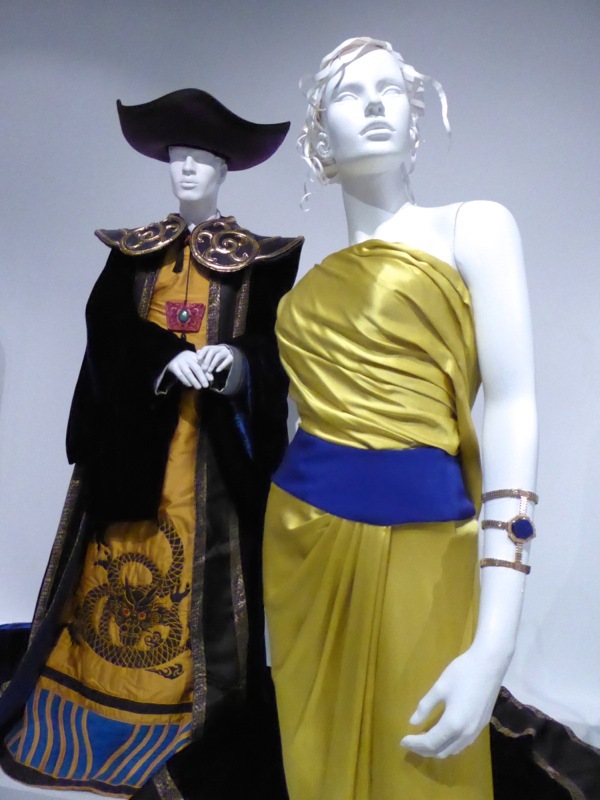 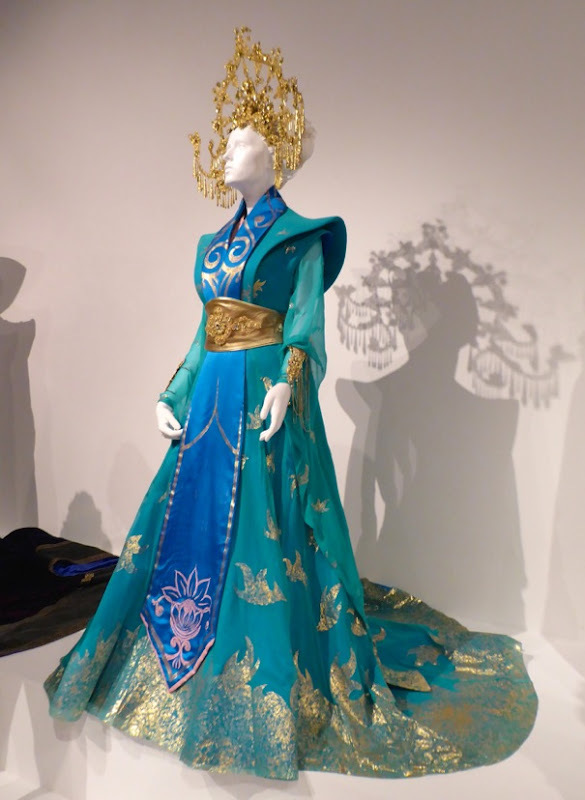 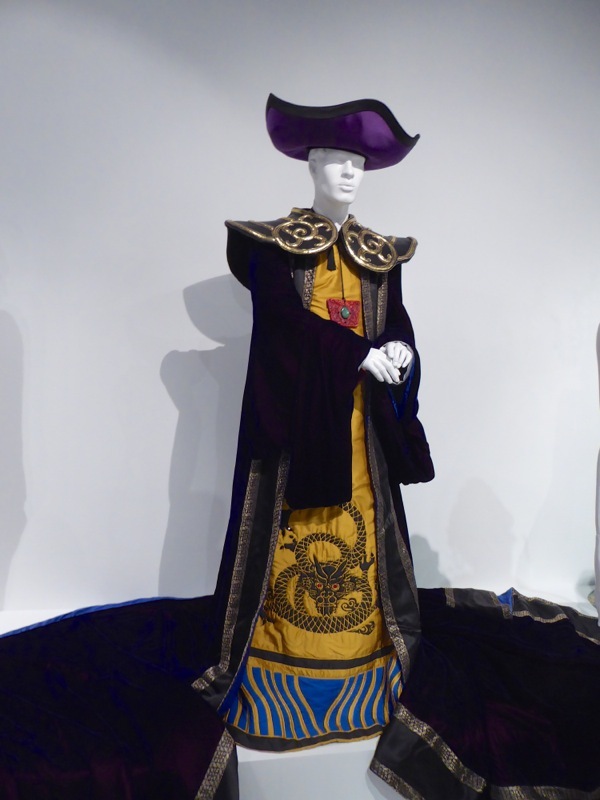 These elaborate 'Emperor Altoum' and 'Turandot' costumes certainly did add some drama to the 24th Art of Motion Picture Costume Design Exhibition. 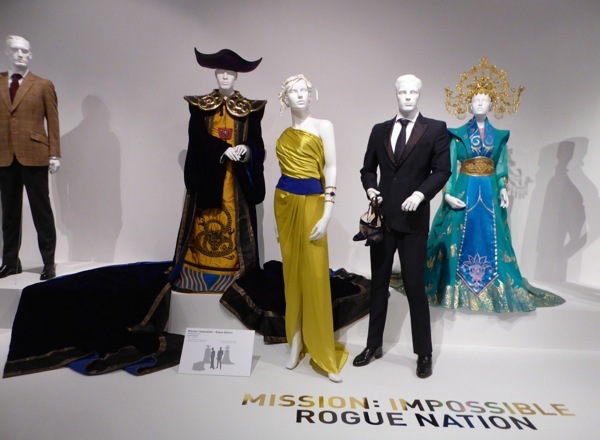 For me Rebecca Ferguson was breath of fresh air in this fifth installment in the espionage franchise based on the popular Mission: Impossible 1960s and 1970s TV series. 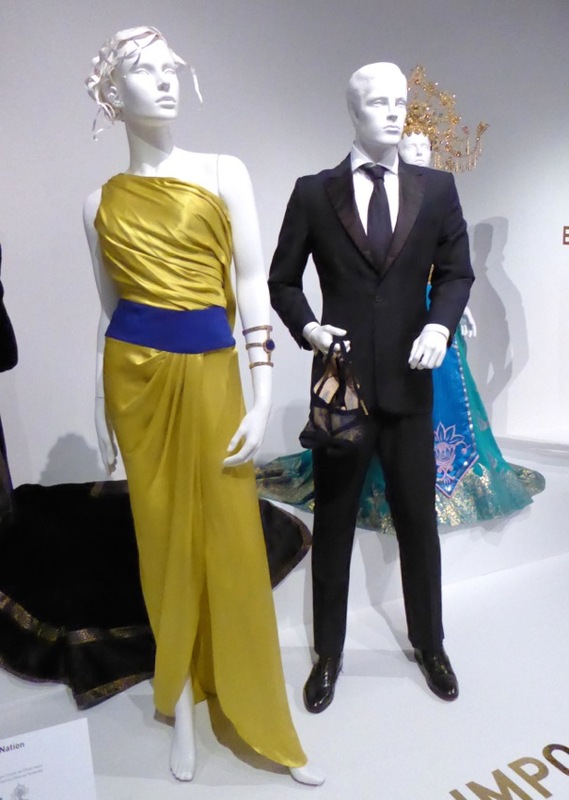 She was almost like a female 'James Bond', or in this case a female 'Ethan Hunt', but better. 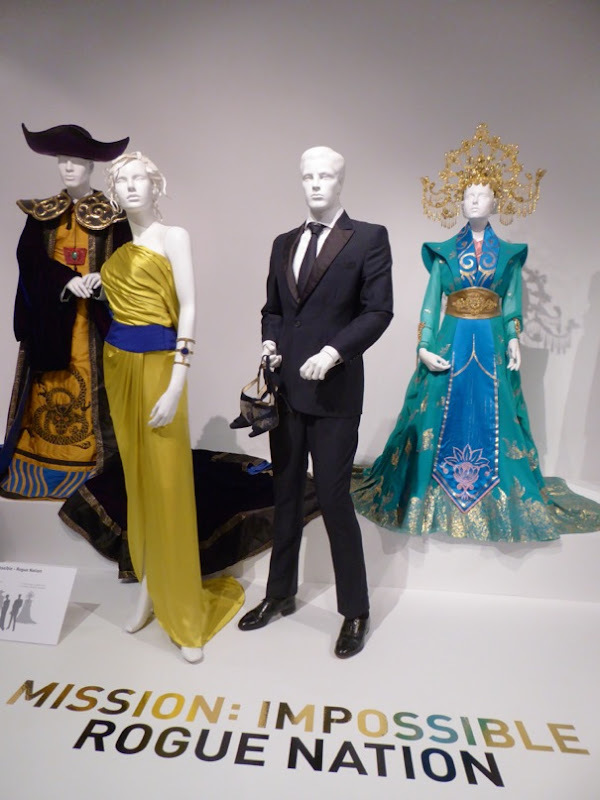 This beautiful opera gown certainly didn't stop the MI6 agent from wielding a sniper rifle in the film. 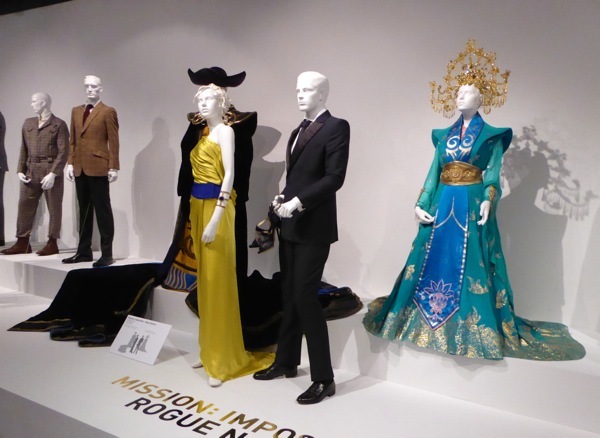 If you're a fan of the movie, you can also take a closer look at this BMW motorbike used in Rogue Nation, plus if you're a fan of the movie franchise, be sure to also check out these Mission: Impossible- Ghost Protocol film costumes from the fourth installment.